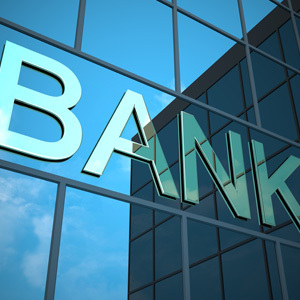 https://www.rikvin.com/wp-content/uploads/how-much-do-you-need-to-open-a-corporate-bank-account-in-singapore.jpgSome small and medium enterprises are facing increasing banking costs even as banks increase their minimum monthly balances. This adds on to the other difficulties which SMEs encounter, including lack of access to financing, higher rental costs, late payments and manpower crunches. Although banks have positioned themselves as partners of SMEs, moves such as increasing the minimum daily balance and levying “fall below fees” for those not meeting the prescribed average monthly balance, have been seen by SMEs as detrimental to businesses. For example, for Singapore dollar accounts, Citibank and HSBC require initial deposits and average balances of S$50,000 each. DBS requires an initial deposit of $3,000 and an average daily balance of $8,000, while UOB requires an initial deposit of $5,000 and an average monthly balance of $20,000. These rates are far higher than those of Malaysian and Indian banks in Singapore, which have maintained lower initial deposits and average balances. Malaysian bank CIMB requires just S$3,000 in both initial deposit and average balance, while Indian bank ICICI requires $1,000 in initial deposit and average balance. Mr Satish Bakhda, Head of Operations at Rikvin, said banking costs are just one of the few details which SME owners may overlook when budgeting their growth plans. “In addition to higher fees, we have noticed that some banks have stepped up their due diligence, and in extreme cases, have refused to open a corporate bank account for unqualified clients. SMEs which are tight on cashflow may want to explore alternative banking options instead of those offered by the bigger local and foreign banks,” he said.